“Hi! My name is Allie Levine. For my mitzvah project, I chose to help Ann's Place. Our family, like so many others, has been touched by the plague of cancer. Ann's Place is a community-based cancer support program located in Danbury, CT. It offers counseling, support groups, and wellness activities at no charge. It's a nonprofit serving CT and Hudson Valley, NY. Donated items can be dropped off at Ann’s Place and Temple Beth Elohim. Don’t Miss The Show - Doors Open April 25th! Join us for this fun, family-friendly fashion show featuring styles from Audrey Road and ARkids. 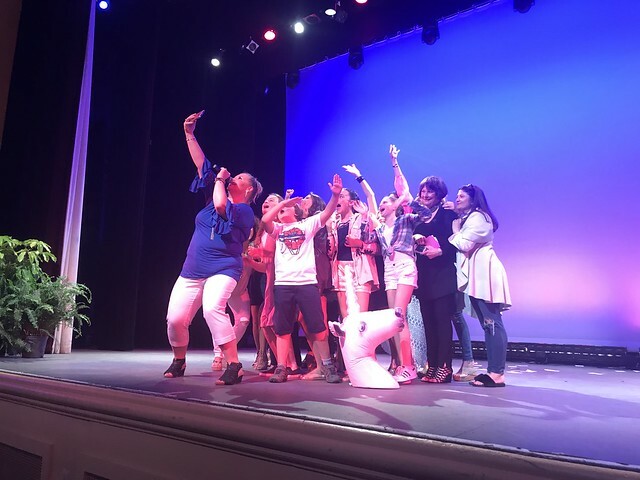 This event will have you laughing in the aisles of the Ridgefield Playhouse with award winning comedian, Christine O’Leary. Fine Spring & Summer fashions will be highlighted by local models who will also be raising funds online. Tickets are $25 (only $10 for kids) and will be available online at the Ridgefield Playhouse. A Big Thank You to All Who Supported Our 2018 Fashion Show!! We Raised $104,000!!! That means over 104 of our clients will have full services for an entire year (wow.) A special thank you goes to Chefs Warehouse for their leading sponsorship of the event. Check out the photos from last year below. Thank you to Ann Hermann at Ann Charles Photography. 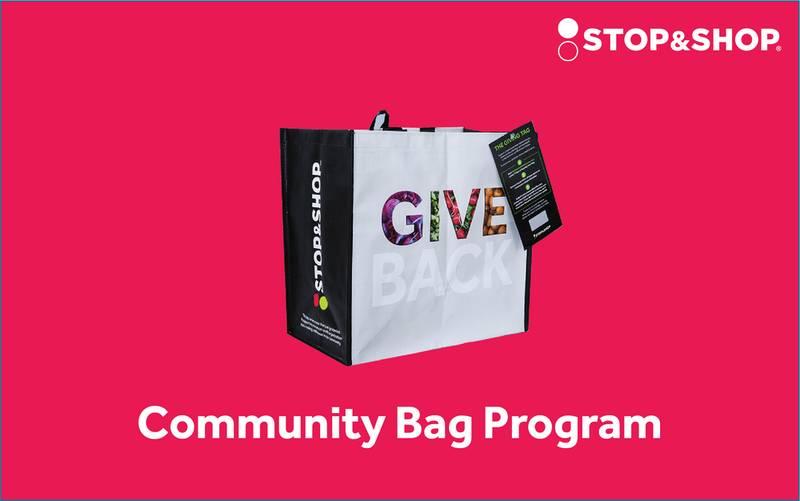 Ann's Place Inc. was selected by Stop & Shop store leadership as the benefiting non-profit in the Community Bag Program for May. Ladies…Join Ann's Place for a Fun Day in the Sun! How to pay: You can pay by check, by calling in a credit card number to Jack or Dawn at 203-790-6568, by filling in your credit card information on the form, or dropping cash off at our office. Send the sign-up form to jack@annsplace.org, fax: 203-797-1726 or mail to Ann’s Place, 80 Saw Mill Road, Danbury CT.
Ann's Place provides comfort & support to people living with cancer and their loved ones.Offering our services free of charge, Ann's Place is a welcoming beacon for your family, friends, and neighbors, who are confronted with the fears and uncertainties of cancer. Please consider supporting this great work by registering your foursome or sponsoring the classic. This is one of the top ladies golf tournaments in Connecticut held at an award winning course. Richter Park was voted Best Place to Play by Golf Digest! This is a great fundraiser for Ann’s Place cancer support services. All proceeds go directly to Ann’s Place and help keep our doors open and our cancer support services FREE of charge to all those in need in our community. Bring your family, friends, and coworkers to run or walk in this great Annual 5K. Sorry, registration is not open yet! Please check back in a bit or email jack@annsplace.org to receive updates. Raise at least $100 and your registration fee will be waived! All funds go directly towards clinical services at Ann's Place. For every $100 raised a new client receives a full month of free services! Make the race a fun team building activity. Waterworks runners, for example, decided to wear superhero costumes when someone donated $500 to their campaign. They had so much fun before and during the race! Download instructions on setting up yourCrowdRise fundraising page! The 2018 Race Was Amazing! Thank you for your Support!!! Special kudos to the Amber room staff (the chocolate covered strawberries were over the top!) and to Waterworks who were certainly our superheroes - raising extra funds by dressing up (so creative!). We are humbled by your generosity. This after work event is both heartwarming and fun. Photographer Kristen Jensen has been celebrating women in various stages of breast cancer survivorship for over 10 years. She will be taking 12 new portraits of survivors in 2019. Join us to view these new portraits , enjoy great food, and be with inspiring company. New: This year we will be celebrating at the Loundsbury House! 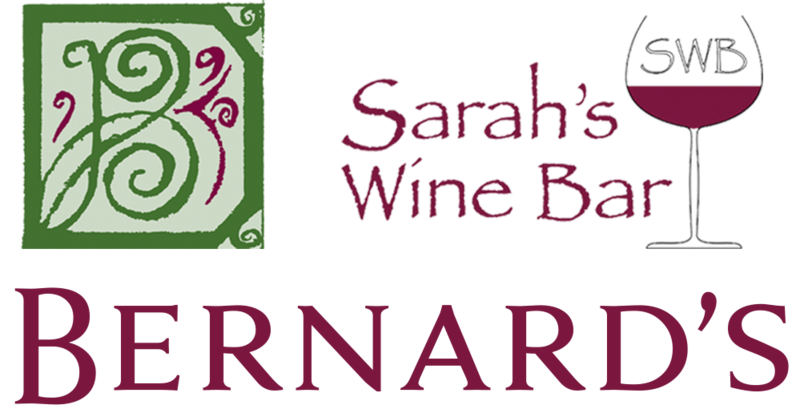 Drink Pink was designed by Kristen Jensen Productions, HamletHub and Sarah’s Wine Bar at Bernard’s. Save The Date For the Next Festival of Trees 2019!! Official Festival of Trees Website with full details will be coming soon! View Photos from 2018 Festival of Trees. 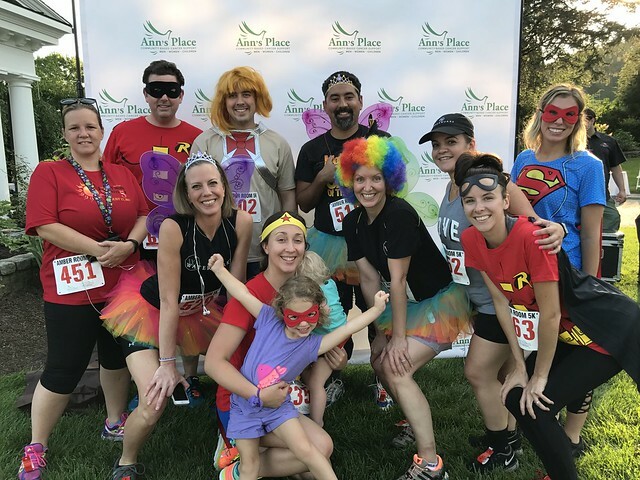 Liz Becerra is running a fundraiser for Ann's Place! You have one week to get in your gift orders so they will arrive before Christmas and 25% will be donated to help people facing cancer! Thanks Liz! Once more, proceeds for the Friday performance of Tis the Season will come to Ann’s Place!! You can get a sneak preview of this amazing holiday performance at Festival but you will want to see the full event yourself! How do you explain the biggest holiday party ever? It is fun for people of every age. And the best part...it raises enough money for over 150 people to attend programs at Ann's Place for an entire year! Shopping - something for everyone! Learn more on the official Festival website. (Ridgefield, & Westport, CT) -- In honor of Breast Cancer Awareness Month Whip Salon is pleased to announce a Hair Raiser on October 28th that benefits Ann's Place, a facility that provides comfort and support for people and families living with cancer. Simply book an appointment for any haircut, color service or blowout and the company will donate 10% to Ann's Place. Whip Salon offers ladies, guys and whippersnappers cuts too and is open from 9am to 5pm on Sundays. Ann’s Place provides help and hope to those living with cancer and their loved ones. Our clinical social workers, facilitators and wellness experts provide a host of services aimed at improving quality of life during and after cancer. Ann’s Place relies on the generosity of donors to be able to continue providing these services free of charge. BOOK ONLINE, download the Whip Salon app or call 678-WHIPPED to support this cause on Sunday, October 28th at Whip Salon in Ridgefield & Westport. The Ann's Place mission is to provide comfort, support and resources to people living with cancer and to their loved ones. They assist you and your loved ones to create a unique pathway through cancer to improve your quality of life. At Ann's Place, all are welcome. ABOUT: This is the third year the Moose have raised money for our multiple charities at a breakfast. Questions: Call Nancy at 203-770-7019 or email the Chairman, John Gogliettino at jcgogliettino@yahoo.com. 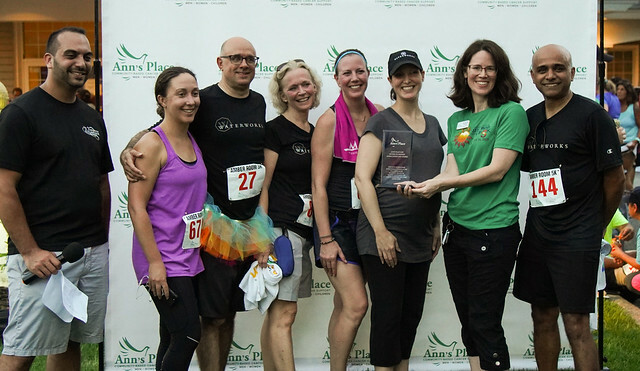 Join The Pilates Advantage for wellness fun while doing great things for Ann’s Place! Sign up or learn more here. 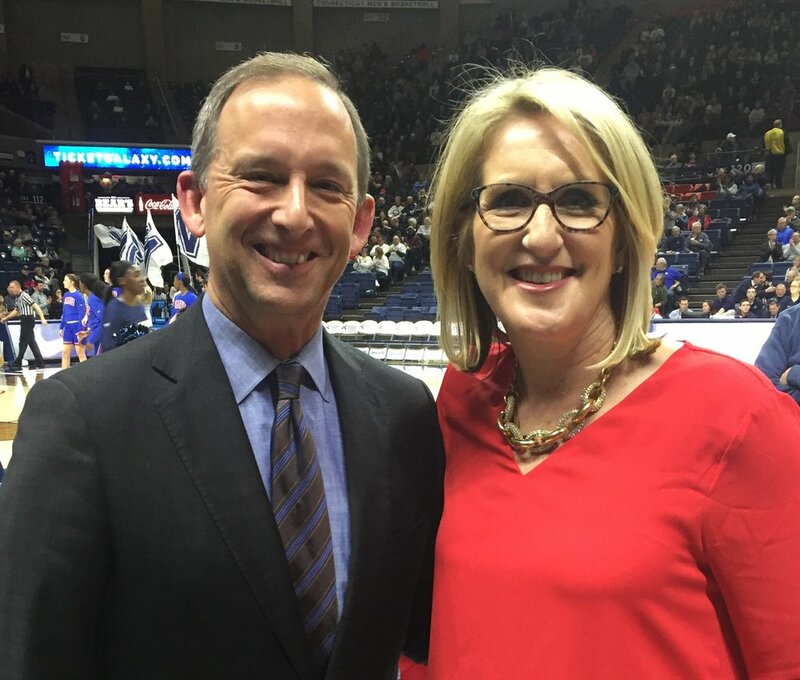 That said I am asking for your help in supporting Ann's Place which provides comfort, support, and resources to people living with cancer and their loved ones. They serve over 1100 active clients of all ages, with all types of cancer across Connecticut and eastern New York state - free of charge! Supporting Ann's Place is close to our hearts because we’ve had several clients affected by all types of cancer, especially breast cancer. I have personally witnessed how this devastating disease affects not only the individual, but all family members and friends. Many of our clients have received support from Ann's Place as 47% of Ann’s Place annual budget goes to help local breast cancer patients and their families. The Olde Crabs Charity Hockey Club will be hosting the 14th Annual Senior Invitational Charity Hockey Tournament this coming October 19-21, 2018. Over 400 adult hockey players, age 50 plus, will converge for a weekend of competitive hockey with two missions. 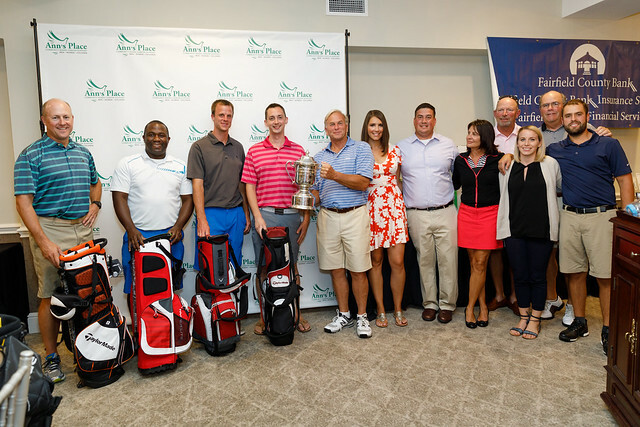 Raising funds for local Connecticut charities (including Ann's Place) and winning the King Crab Trophy. To date the Olde Crabs have raised over $100,000 for local charities. Teams comprising 50 Elite, 50 Competitive, 60 Elite, 60 Competitive and 70 Competitive will represent 10 states in competitive hockey over a three day period. The Olde Crabs Charity Hockey Club is a 501(c)(3) charitable organization with a long history of reaching out to help those in need. Since 2005 proceeds from our Senior Invitational Hockey Tournament have been allocated in support of Domestic Violence, Local Food Banks, Salvation Army, Returning Veterans, American Diabetes Association and Ann’s Place. This event has moved to October 15th due to rain. There are still foursomes available! This is a fantastic day of golf and delicious food at one of Danbury's premier golf clubs. 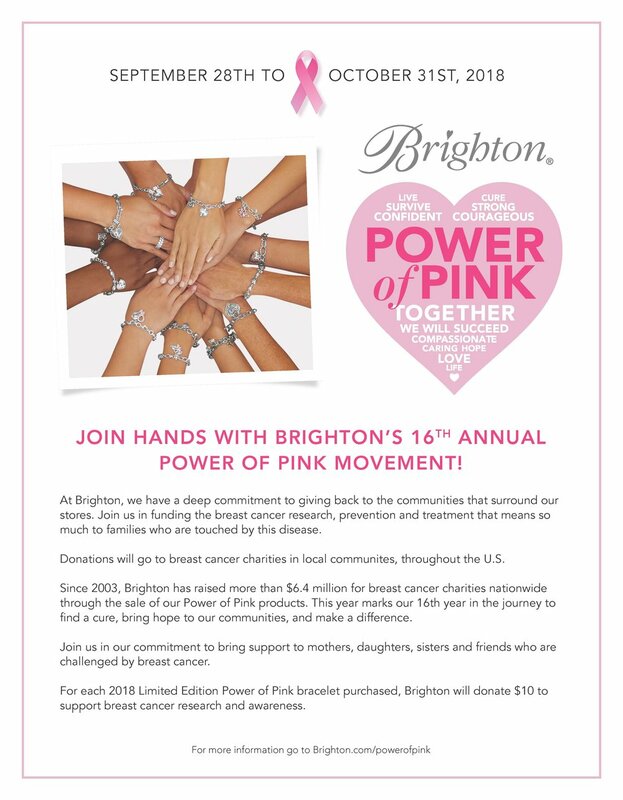 Take a group of clients or friends out for a day of networking while supporting a great cause. 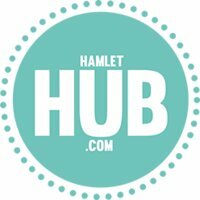 Thank you to the 2017 Sponsors! Ten New Models Highlighted for the 10th Anniversary!! This is a great night out! No RSVP needed, just grab some friends and come down to Bernard's. 100% of the $20 admission goes to Ann's Place. Many Thanks To The People and Organizations that Make Drink Pink Possible! This exciting new event will benefit several local charities including Ann's Place. Buy your tickets through Ann's Place and 100% of your ticket price will go to help people with cancer locally. Contact Jack@annsplace.org for tickets through our office. Or click here to view the website or buy tickets on the main site. Somers Smiles Gives 10% to Ann's Place For Oct Cleanings! October is the time to shop at the boutique in the adam broderick salon and spa when proceeds will help pay for Ann's Place counseling services for those with cancer. Everything is more fun with bubbles! We aren't sure how The Pilates Barre is using them with Pilates but anything to distract us during exercise must be good :). The 2017 Race Was Amazing! Thank you for your Support!!! Registration and continental breakfast starts at 9:00 am. Bike Rides off at 11:00 am Sharp. Last stop by 5pm. Starts at Catholic War Vets, 2 Shalvoys Lane, Danbury CT.
Last year's event was a great success! Thank you John! The foursomes are currently sold out! If you would like to be put on a waiting list, please contact jack@annsplace.org, 203-790-6568. You can still join us for dinner or purchase sponsorship or tee-signs. 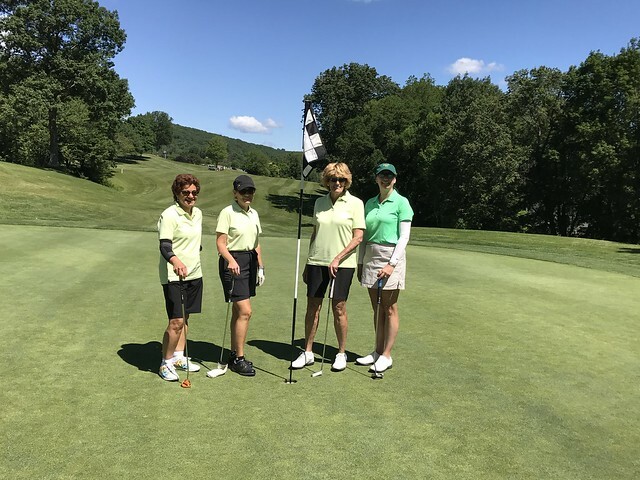 This is one of the top ladies golf tournaments in Connecticut held at an award winning course. Richter Park was voted Best Place to Play by Golf Digest in 2009! 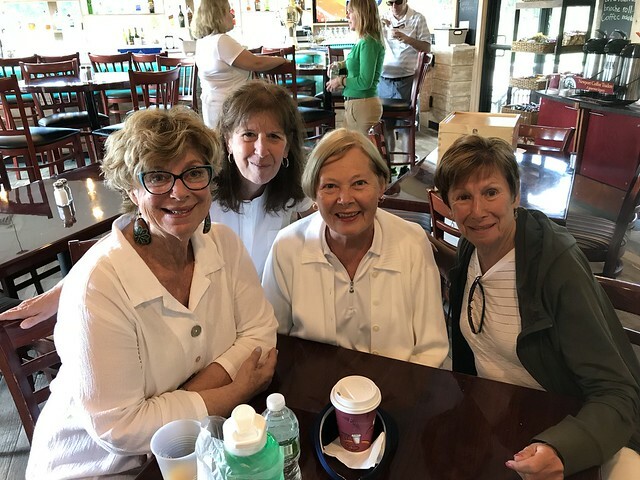 2017 Ladies Golf Classic Winners: Barbara Mulcahy, Jane Mathew, Linda Burrell and Helen LaJoie. Congrats! Thousands of charities have to opportunity to get an extra 15% for every donation given through Travelers Championship. Ann's Place is one of the approved nonprofits and you can get an extra 15% by donating here. Is it Pasta Night at Your House? Romolo Gastro Pizza of Ridgefield (located behind Ursula's, 378 Main Street) will sell boxes of fresh ravioli with sauce ($15 take-home box) and 100% of the proceeds will benefit Ann's Place. Take a dinner preparation break on Wednesdays and pick up some FRESH handmade ravioli and sauce. The Romolo Ravioli & Sauce Fundraiser will take place every Wednesday in April and May. 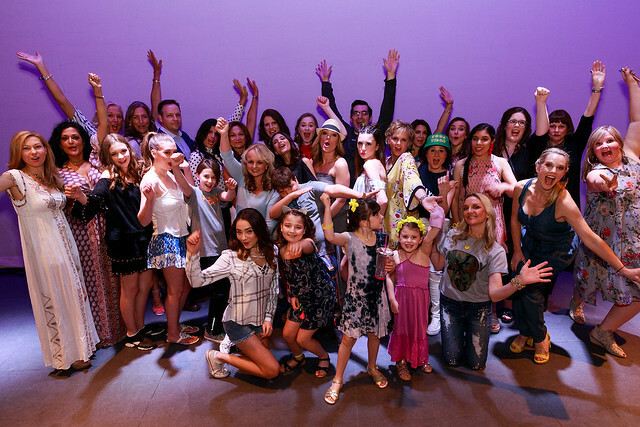 Fine Spring & Summer fashions by Audrey Road and AR kids will be highlighted by local adult and child models, with fun and festivities to rival last year! Tickets are $25 (only $10 for kids) and will be available online at the Ridgefield Playhouse. Kim Bishop, Liam Bishop, Brooke Blake, Maddie Blake, Riley Blake, Jen Conciatore, Cora Diamond, Katie Diamond, Rosie Diamond, Jennifer Dineen, Alex Fischetti, Elizabeth Gallo, Zoe Garbus, Dawn Grabover, Amanda Grose, Emily Haughney, PJ James, Rachel Langberg, Jessica Mancini, Lauren Messina, Anna O’Rourke, Trish Shantz, Glenn Shepard, Paige Shepard, Julia Signorelli, Pamela Simenou, Anne Stauff, Lyla Stubbe, Annalisa Verrilli, Mia Verrilli, and Christine Wohl. A Big Thank You to All Who Supported Our 2017 Fashion Show!! We Raised $82,000!!! That means over 88 of our clients will have full services for an entire year (wow.) A special thank you goes to Chefs Warehouse for their leading sponsorship of the event. Check out the photos from last year at the bottom of this page.